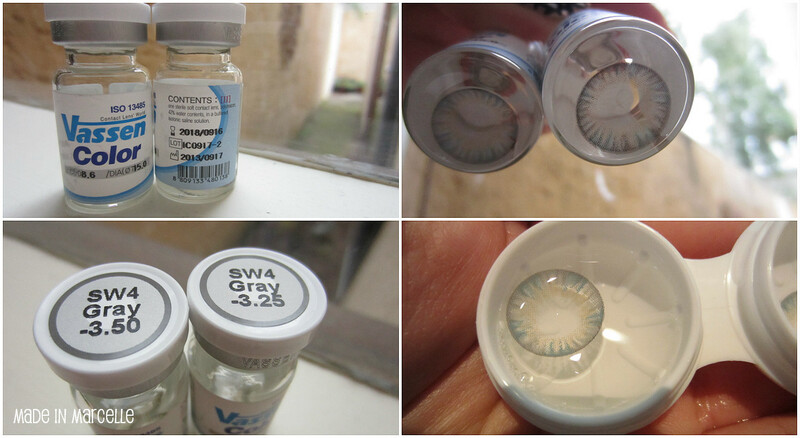 Today's 'swatch' involves my newly purchased coloured contacts from Pinky Paradise. I usually just wear my clear prescription contacts and very rarely or never wear coloured ones. 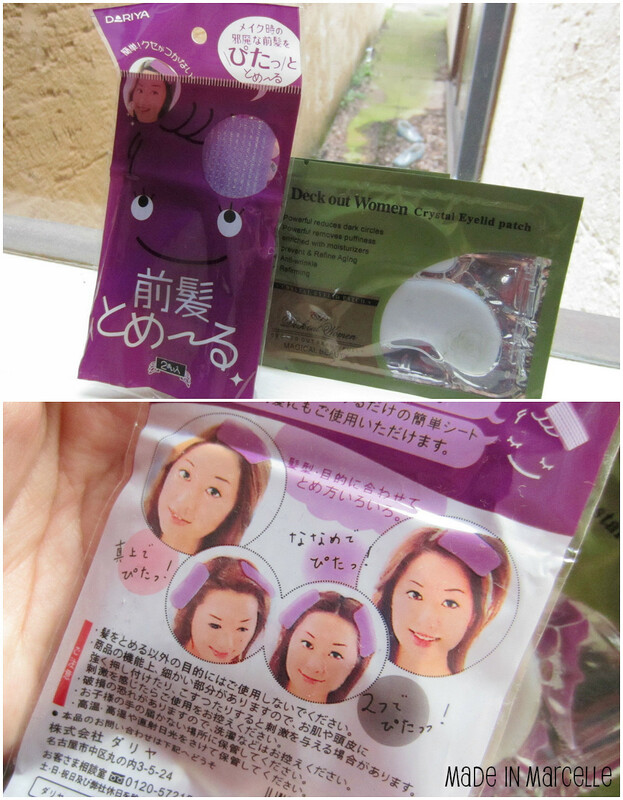 But I wanted to try some of them for future creation looks that I'll be doing. After some researching, I went ahead and bought four pairs with added prescription on them (one is still on its way!). This has a basic pattern that reminds me of a kiwifruit, but when I put them on they weren't as green as I hoped them to be. 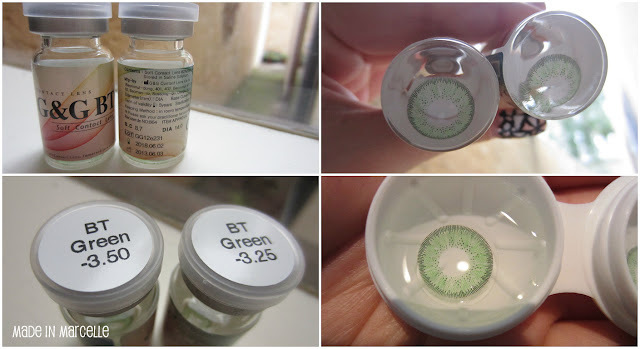 They were more of a deep green rather than a bright one as depicted by the photos on their website. So don't be fooled by the model shots if you want bright/ obvious green contacts! Otherwise, it's a fun pair that I'm excited to use for upcoming FOTD/ creation posts. I was so excited with this one because I really wanted a grey pair. But it turns out it looks more brown than grey. 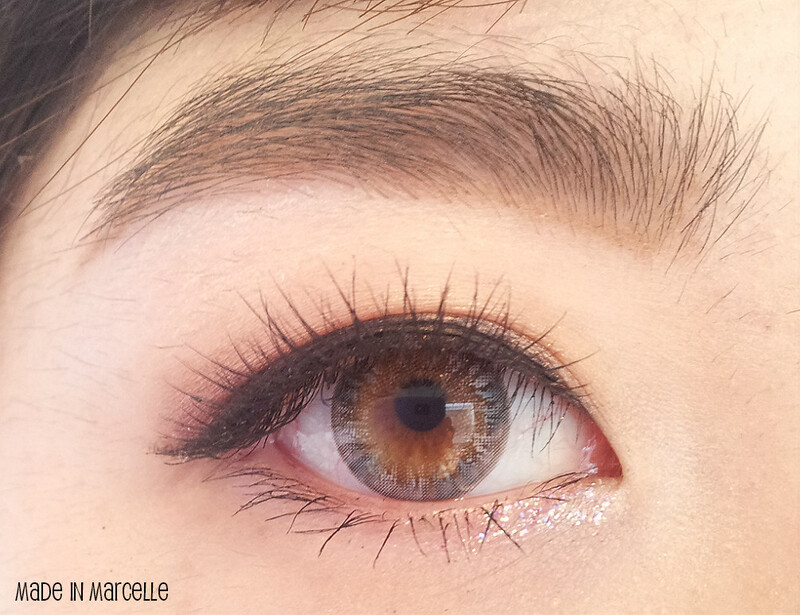 It looks very natural on and makes your eyes look more intense and bigger without making them look too artificial. To be honest I would say skip this one if you're going for something more obvious but is great if you're after something more natural. 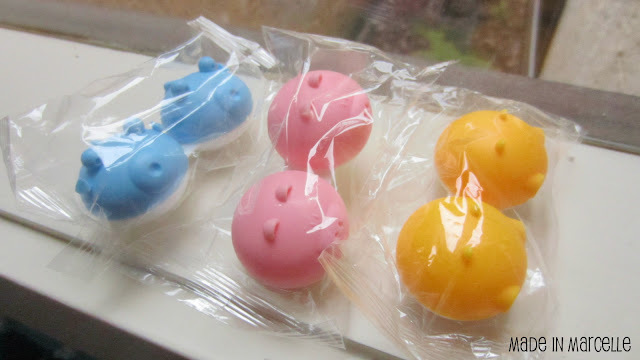 With each pair of contacts, Pinky Paradise provides a pair of cute animal lense cases as well as some extra beauty items. 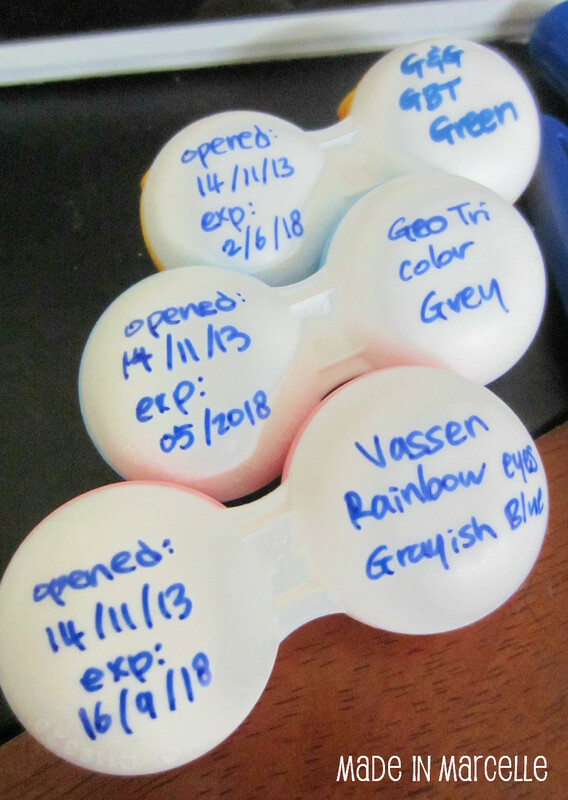 A simple suggestion to store your contacts - to avoid confusion as to which pair is stored in which case, write down what the case contains at the bottom of each one with a permanent marker. Also, since these contacts expire after 1 year of opening, I wrote down the date they were opened from their original packaging, as well as their original expiry date just in case. 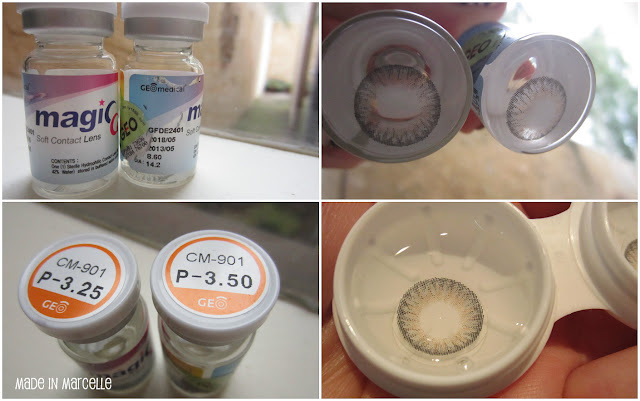 I still find myself awkward with these coloured contacts on because they make my eyes look massive, but I can't wait to use them to my advantage when I get creative with different looks.